Now that winter’s finally here it’s time to hunker down and stay indoors. 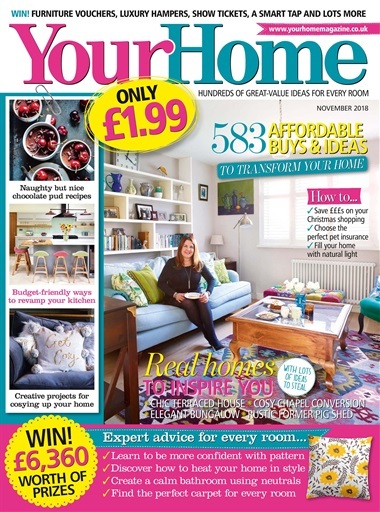 This month we’ve got plenty of ideas for creating a home you’ll want to spend more time in. 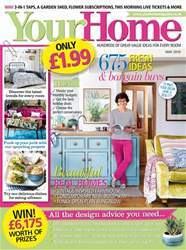 On page 115 we take a look at stylish ways to heat your home, from flueless fires to wood-burning stoves, there’s a design to suit every home. And, if you long for something warm underfoot, check out our buyer’s guide to carpets on page 36, where you’ll find all the ideas and expert advice you need to help you pick the perfect design for every room. 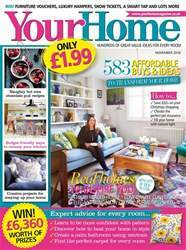 I know many of you are a little unsure of how to use pattern in your home, so on page 40 we help you to discover your pattern personality and give you the confidence you need to give your rooms a brand-new look that really reflects your style. 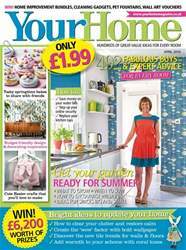 If, like me, you love taking a peek behind closed doors, then you’re going to love our gorgeous reader homes in this issue (p.73). We’ve got everything from a converted chapel to a terraced ex-council house and all of them are full of design ideas to copy in your own home. 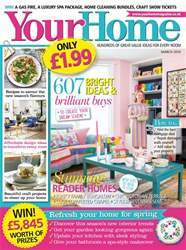 Finally, we’ve got an amazing subscription offer for you this month with five issues of Your Home for just £5! It’s the perfect Christmas gift for the interiors or craft lover in your life. Turn to page 86 to find out all the details and be in with a chance of receiving a gorgeous artisan gin and tonic candle. Have fun reading this issue!